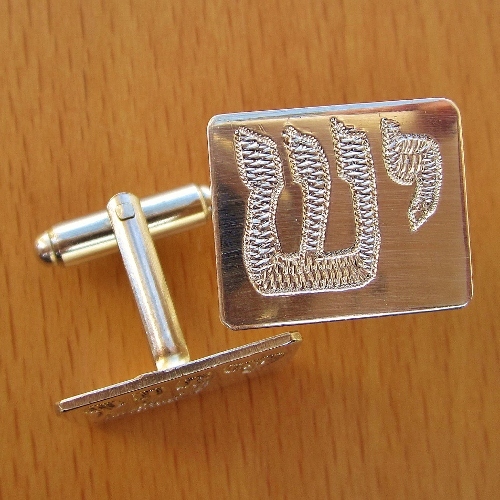 Solid Sterling Silver Cufflinks with your initial/s hand engraved in Hebrew. Width of plaque: 2cm. Note that the dimensions can be changed at request. Please specify the initial/s that you would like at the end of your order under "Comments and Special Requests."